Business trip to Hanoi that also allowed time for a short trip in Ha Long Bay. Masks are worn because of pollution. 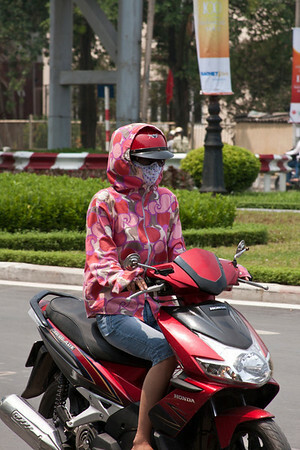 You don't feel it very bad on the sidewalks but in the middle of other motorbikes it's a different situation.